Hot dog! Twenty portable tunes combined with Disney's Mickey Mouse and all of his friends mean hours of musical fun for Clubhouse fans. Packed with Mickey Mouse Clubhouse fun, this book features four fun sections of song lyrics: Action Songs, Counting Songs, Learning Songs and Silly Songs. 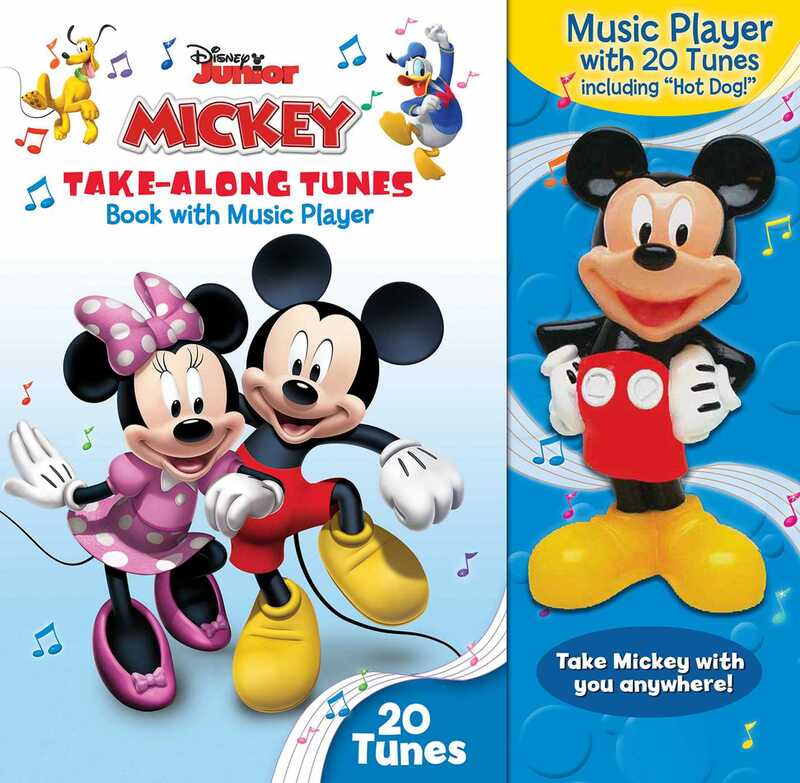 Following the numerical prompts in the book, children play one of the special songs on their Mickey Mouse stand-up music player—20 songs in all! Songs include such favorites as “If You’re Happy and You Know it…” and “Head Shoulders…” as well as “Hot Dog, Hot Dog, Hot Diggity Dog!” which is featured in the show. The lyrics to the songs are printed in the book so kids can sing along!